As Autumn has approached us, I've been hunting everywhere for a winter coat. Although I did manage to pick one up, shown in my last clothes haul, I had found many from Topshop in the last few weeks and decided to show you all my favourites.. I have fallen in love with blue coats as I've been looking around and especially this one that I spotted in Topshop. I love the shape and the wrap over style. The fluffy wool material gives the coat a beautiful feel. This check coat is not completely a coat, nor is it blue, but I just couldn't leave it out. I love the blue detailing on the cuffs of the sleeves and it really brightens up the checked jacket. I really like the fit of this jacket, the baggy blazer style is so easy and fun to wear. I have seen checks everywhere this season. 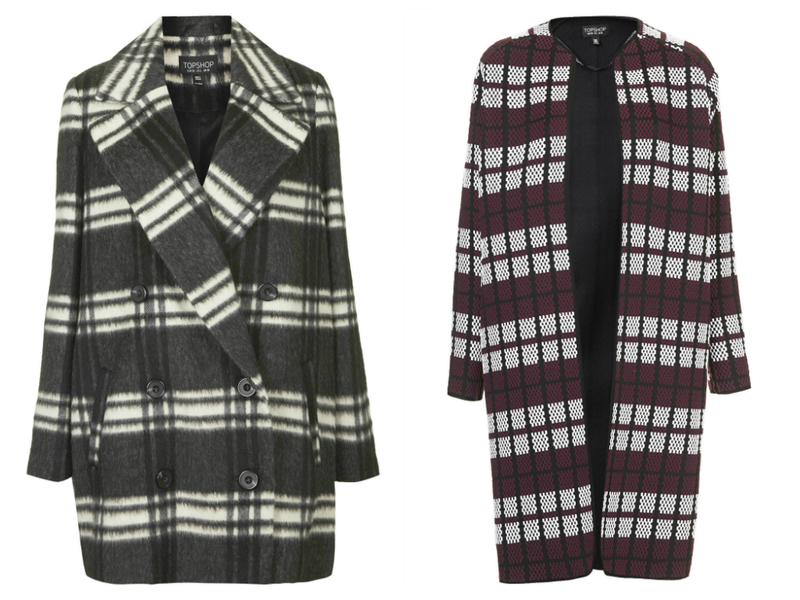 Even though I do love the checked print, what I love even more is the long, oversized style. I have a little bit of hate for short coats that don't pass my hips as I don't think they shape suits me or do they keep me very warm. Therefore, when I'm looking out for a coat it has to be long. That it what I love most about these two coats and I can imagine them keeping you warm and cosy in the Winter. I especially like number two that I have featured here, the pattern and colours are a lot more to my taste. Okay, so I know I said I wasn't a fan of short coats, but these are jackets and they are beautiful. 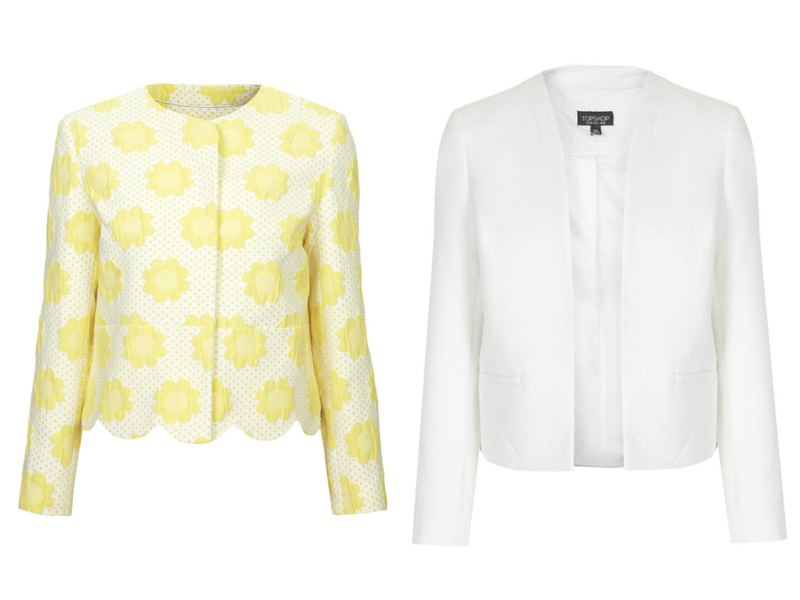 Summer is coming to an end, but the yellow cropped jackets adds a little sun to a grey winter day. One thing I really like about this jacket is the scallop detailing and wearing it with a black skirt will really enhance it. The pattern is gorgeous also, the flowers in a polkadot backgrounds is really unique. Finally, I have this white blazer. Once again, not a coat. As I'm looking for something more smart to wear for work, I thought this jacket would make a perfect addition to my wardrobe. It has a snake skin texture which is a lovely little touch. 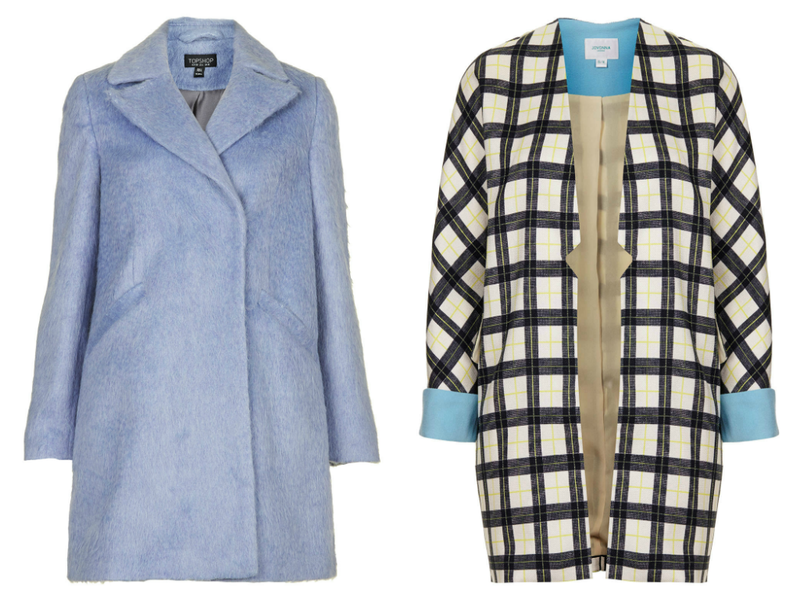 Have you picked up your winter coat yet? Do you like the look of any of these?